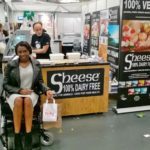 Vegfest UK is the biggest vegan festival in Europe, with different dates held all over the UK throughout the year, it was London’s turn to be host to this 2 day event at Olympia London. 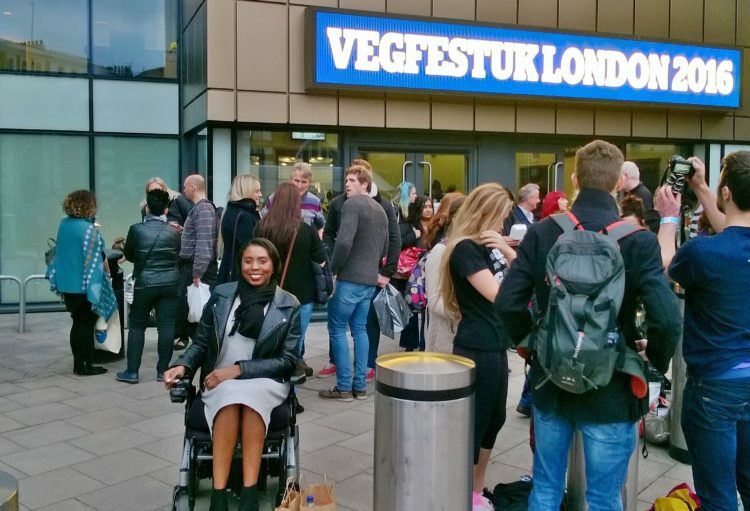 Vegfest is an event celebrating veganism for anyone living, interested in or wanting to live a more plant-based lifestyle. 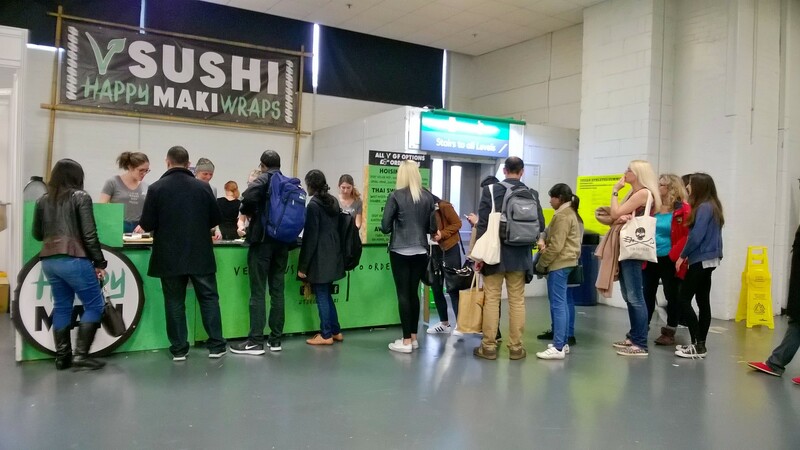 It was very busy with lots of people crowding around stalls and some stalls with very long queues. 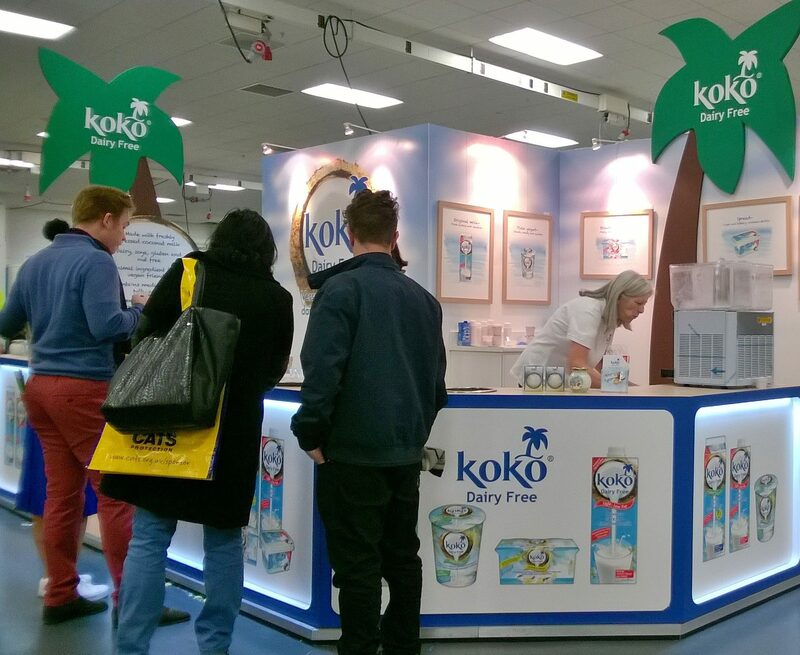 There were food stalls with samples of food or drink for you to try before you buy like KoKo, with their diary free milk and yoghurts, or Sheese with their selections of dairy free cheeses. 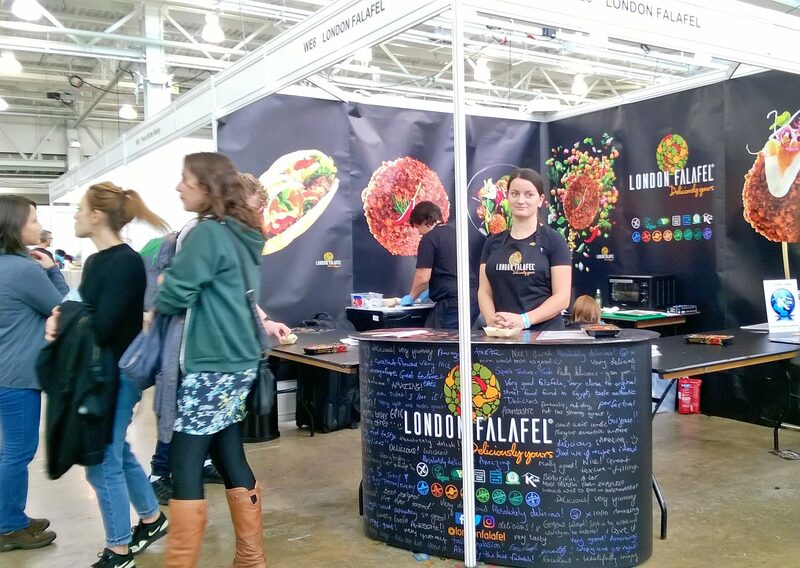 Some stalls were simply advertising their food like London Falafel with samples to try, vegan restaurants where can buy a meal like Browins with their Caribbean food or Happy Maki with their sushi wraps. 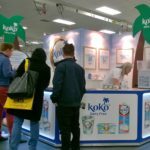 There were stalls giving information about animal welfare, giving talks and lectures about health, nutrition and fitness. 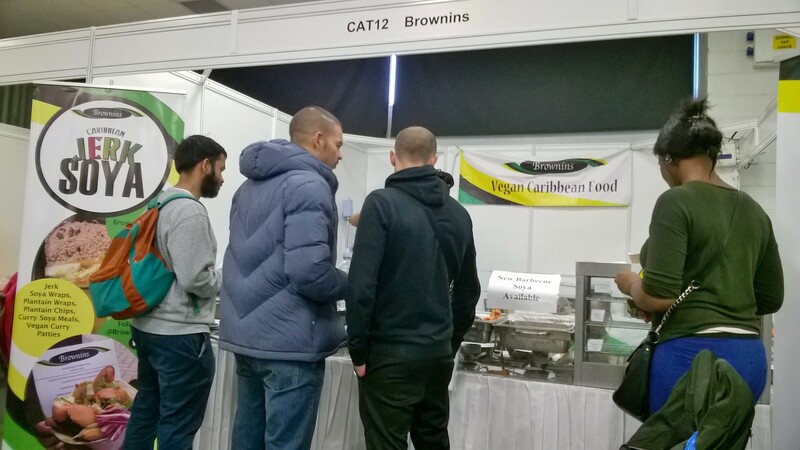 There was stall where you could get your blood analysed with a simple blood test and can tell you what you need and what your intolerances are (this had quite a long queue), cooking demos, live music, stalls selling clothes and jewellery. 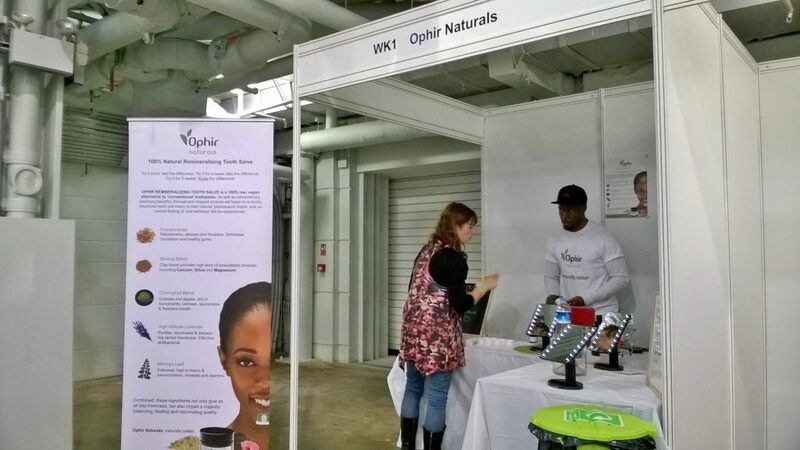 There were also stalls selling natural skincare and toiletries like Ophir Naturals selling their 100% natural tooth salve (tooth paste), which I had tried and it left my teeth and mouth feeling fresh and clean, just what I needed after a day of food and drink tasting. This was my first Vegfest and I wish I had got tickets for both days. I had an enjoyable day out and I learnt a lot of interesting facts. I did quite a bit of shopping at the event which will see me stocked up for a little while and I look forward to cooking some meals using the ingredients. 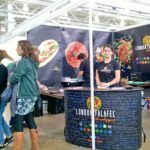 Vegfest, see you next year! 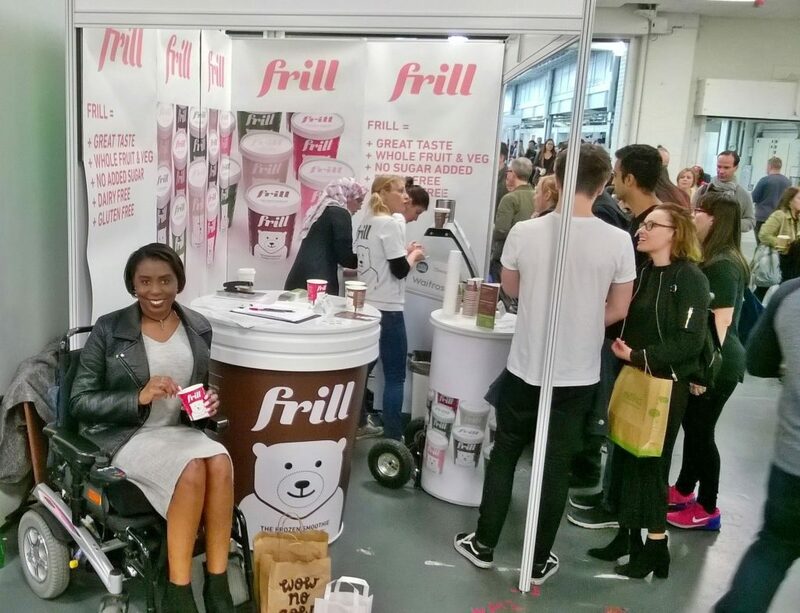 Looks brilliant and I really wish I had known before so I could attend but next year will soon be here and the bonus is I am sure Clara you will give us all a nudge when purchasing your tickets so we all can get ours here in London. Hi, Georgette Allen I am pleased you enjoyed my post and wish you had gone. 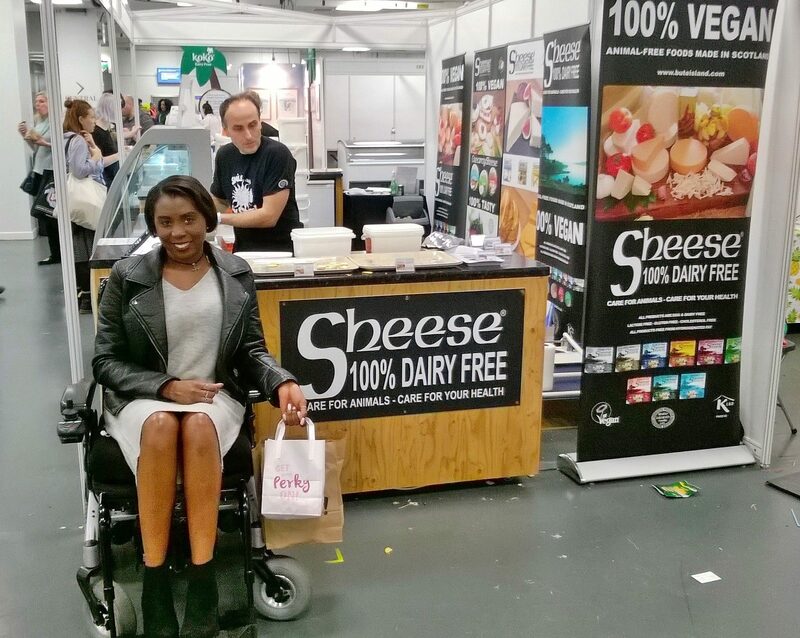 I will certainly give you all a “nudge” about any future vegan festivals.